So here's the thing: I'm still knee-deep in what I hope is the last bit of Petrichor. But I am also working on the plot of my NaNo novel. Thus, I'm combining the two into this week's A Novel Idea! I'll be writing about Blade, Astrid, and Cobie from Petrichor, and then the two leading ladies from my NaNo novel: Jem and Evee, along with Jem's brother, Hal. Excitement all around! Add to it that next Saturday I'll be recovering from having my wisdom teeth pulled, and I'm not sure if I'll be able to participate in A Novel Idea that round. So today I'd like to just go out (for now) with a bang! 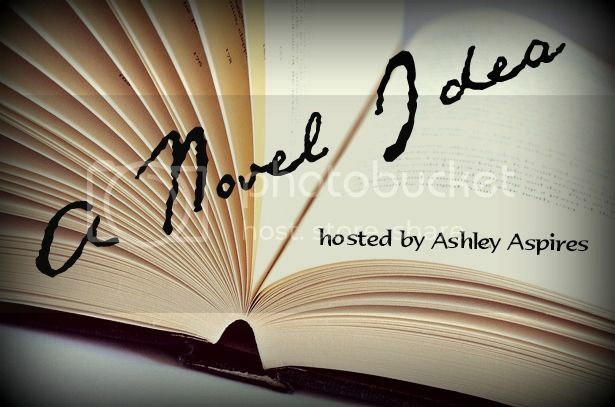 A Novel Idea is a blog meme by Ashley @ Ashley Aspires. 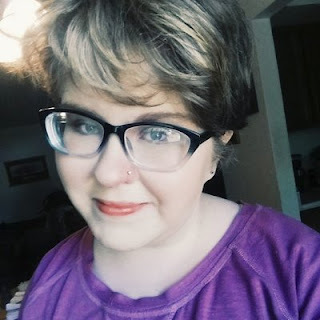 Every week, she posts questions about you, your writing, and your characters. It's a fabulous blog meme that I highly recommend--please do check it out! You can find this week's edition of it by going here. 1. Have they started a family? If so, tell about them. If not, do they plan to? No, definitely not. He doesn't have the money to support one, not to mention he's currently single. But he'd really, really love to. 2. Who would they turn to if they were in desperate need of help? Blade is lucky in that he has a very large support system--but Astrid and Cobie would be his first picks. 3. Do they mind being in the midst of a large group of people? No, but he does need to come home and recharge often. 4. Are they more of a leader or a follower? 5. Do they care what others think of them? Why or why not? Most of the time, no. He does care what his close friends think and wants them to call him on anything he's doing wrong, but other than that he doesn't have much time, drive, or energy to care about what people think. No. But Astrid takes care of her little brothers so much that it's about the same thing. She has three siblings; Connor, Brody, and Levi. Connor is sixteen, and Brody and Levi are young and close in age, maybe about six and seven years old. They're adorable, and Astrid loves them so much. They're all her kryptonite. I think Astrid would want kids, but not for a long while, and she'd have to work through some issues first. She doesn't trust anyone as unequivocally as she trusts Blade, so probably him. If he was unavailable, though, Cobie. Yes. Definitely. She's not comfortable around crowds and she doesn't make friends easily, so large groups of people are a no-no. She finds herself in them more and more these days, though. She's ambivalent. She leads a lot at home, but doesn't mind letting other people make the decisions for once in other cases. She tries to pretend she doesn't, but she really does. People's opinions of her have shaped who she is and how she's lived for years now. Not yet, as she's only seventeen. (Though like Astrid, her little brother Tommy is her everything.) But due to how much she loves Ryker, marrying him and having children is definitely on her list. Once things are safer, that is. Blade or Ryker. Sometimes both. Not really. She's quite extroverted. She's a leader, but by accident, and most of the time she's terrified of making the wrong decisions. Yes, very much so. She's scared of being seen as too rebellious and too naive. My NaNoWriMo project for 2014 is one I don't want to completely divulge yet, but I'm excited. It's about a group of young, homeless girls led by their adored Evee, and a science intern who gets involved in a diabolical and dangerous medical procedure. I've got evil scientists, hot hackers, and a concept of girl friendship that I'm so excited to explore. I'm really excited. Jem is the aforementioned science intern. She is logical and composed and hard to get to know, and she doesn't make friends easily, but she's got a good head on her shoulders and an intense personal loyalty. Her personality type is INTJ. Her dad or her brother Hal. Not necessarily, but she just gets annoyed with everyone else's seemingly superficial conversation choices and opinions. It's hard for her to find other people she finds interesting. No. Jem is far too happy doing her own thing. Sometimes people have to force her into interventions if they think she's not safe or isn't doing something right. Evee is my other main girl for my NaNoWriMo 2014 project. (I'm so excited!) She herself is an INFJ, and she carries around a tattered copy of Peter Pan constantly. In the midst of a governmental decision that left many young girls homeless, she made a home for them, her lost girls. They mean more to her than anything, and she's so happy she's created a family where there was none, and made a home out of the dust. Not technically, but she has about fifteen girls she takes care of, so essentially, yes. I don't know if she'd want her own biological kids or not, since she already feels like these girls are her family, but I think down the road, she'd definitely consider it at least. That's a hard one. Evee doesn't really have anyone. She's the sole leader of her little band of misfits, and there aren't many people her age or older around to seek advice or help from. While she does need her alone time, she's constantly around her girls. Leader, but she is cooperative and works with others. In some cases, yes, in that she wants to know if her actions have hurt others. In other cases, she puts up her defenses and defends her actions at all costs, though that itself stems from insecurities and a fear of what other people think of them. So yes, I think she does. Hal named himself, chose his own face, and pretty much ruined my life. (Not really, I love him.) He's an ENTP, a computer hacker, and loves to argue things just for the sake of it. He's kind of a jerk too, but we'll work on that. Despite the fact that I just cast Dylan O'Brien in a fantasy novel of mine, Hal would have no other person to play him. So I relented. He is Jem's hacker brother, and I'm excited to write him. Nope. He probably kiiiind of wants kids, but he also sees them as little terrors. Nobody. Hal thinks he can do anything. Kind of. He needs his space to think, but bouncing ideas off of people is his jam. Neither. Hal is an independent rebel who doesn't play well with others. Nope. Much like his sister, Hal gives no cares.